Cabbed to meet Chris and Peter and Maura Moynihan. Then down to the Bottom Line to see Lou Reed (cab $8). And Lou’s lyrics you can understand now (drinks $140.08) and the music was really loud. Oh I love oral histories. I wish they were the primary mode of biographies, so much more interesting. That said, I barely know Elliott Smith. What should I listen to? Prolly XO + Matt Lemay’s 33 1/3 vol on same. Thanks for the rec, AK: I meant to read that when it appeared but hadn’t yet. It’s pretty great. I agree, oral histories are so much fun. I just finished Our Band Could Be Your Life: Scenes from the American Indie Underground 1981-1991, another great one. Those are definitely good listens! Also, earlier this year, this video was posted on youtube of the Jon Brion Show (http://www.youtube.com/watch?v=PK4okHerWeI) which is fun to watch and features great performances by Elliott Smith and Jon Brion. Also, loved the Lou Reed link! Robert Quine! Amazing guitar interplay throughout, and I especially love the Johnny B. Goode quote in Rock n Roll. Also, I can’t believe that Andy had to pay for drinks. It wasn’t called The Bottom Line for nothing. Thanks for the Elliott Smith link. I just burnt an hour that I should have been using for something else with it, and I’m really glad. 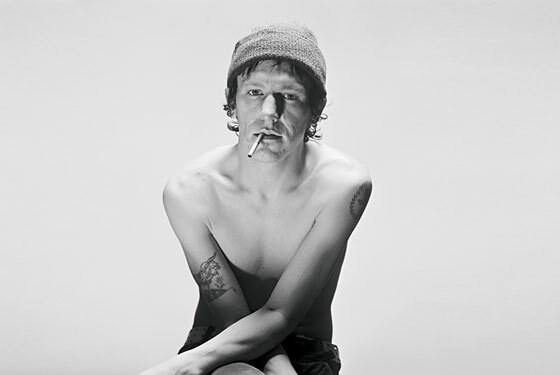 Smearcase, the first Elliott Smith song I ever heard was Baby Britain off XO. It came over KCRW as I was stuck in traffic on the 10E-110N by the Convention Center and captivated me completely. The line “For someone half as smart / you’d be a work of art” is “Don’t Think Twice” levels of mean and more specific. So I recommend starting there. But there’s plenty to choose from. I used to go see Jon Brion now and then but never saw Elliott get up with him. A friend of mine followed him around for a couple of weeks for an LA Weekly profile, including to a show at Largo when Brion got him up on stage. I texted him when I heard on the radio that Elliott had died, in that way that we do, we ghouls; he hadn’t heard about it.